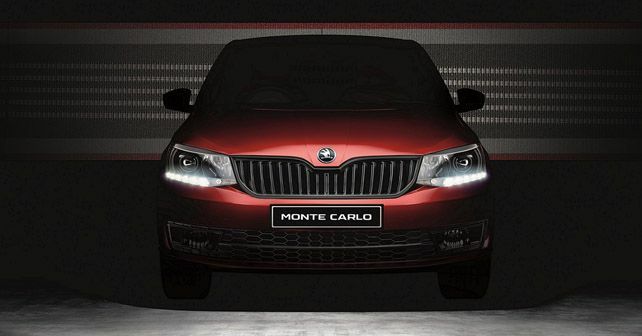 Skoda Auto India has re-introduced the Monte Carlo marque in India. 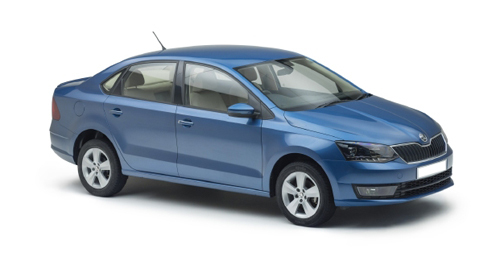 The latest iteration of the Skoda Rapid in India has now been reintroduced with the Monte Carlo edition. The Monte Carlo edition of the Rapid has received some aesthetic changes to make it look sportier. Mechanically, the Rapid will be unchanged, as it will be available with a 1.6-litre petrol engine and a 1.5-litre diesel engine, with manual and automatic options. The Monte Carlo edition of the Rapid has black design accents like the front grille, ORVMs, 16-inch Clubber alloy wheels with glossy black bolt covers, glossy black décor on the B pillars with MONTE CARLO flag badge, black roof foil, black tailgate spoiler and black grained diffuser. Additionally, the exterior also features quartz-cut projector headlights with a chrome accent and LED daytime running lights. However, the Monte Carlo edition will be exclusively offered with a red colour exterior. The cabin of the Skoda Rapid features some cosmetic changes as well. While the standard car gets dual tone finish, the Monet Carlo gets an all-black cabin. Additionally, the steering has been replaced with a flat-bottomed, multifunction steering wheel, the gear lever comes wrapped in black perforated leather with red stitching and the seat upholstery on the seats are new as they are wrapped in Monte Carlo leatherette seat upholstery with grey vertical stripes. The centre console is finished in piano black, and the driver also gets stainless steel foot pedals. With the Monte Carlo edition, the Rapid will come equipped with a 6.5-inch colour touchscreen infotainment system. The system also supports Android Auto, Mirrorlink and Apple CarPlay. Additionally, the car is also equipped with automatic climate control, adjustable dual rear AC vents, rain sensing wipers cruise control, factory fitted tinted windows and windscreen and reversing camera. In addition to all of that, ABS and dual airbags are offered as standard. the automatic version will also come equipped with traction control and hill hold assist.